Having an emergency kit in your car is always a good idea. You never know when the unexpected might happen and you’ll need to do some quick repairs, first aid, or flag down help. With winter in full swing, there’s an even greater need to be prepared thanks to some of the more severe weather we get here in the midwest. Cars R Us can offer some additional tips for staying safe if you find yourself stranded in the snow. 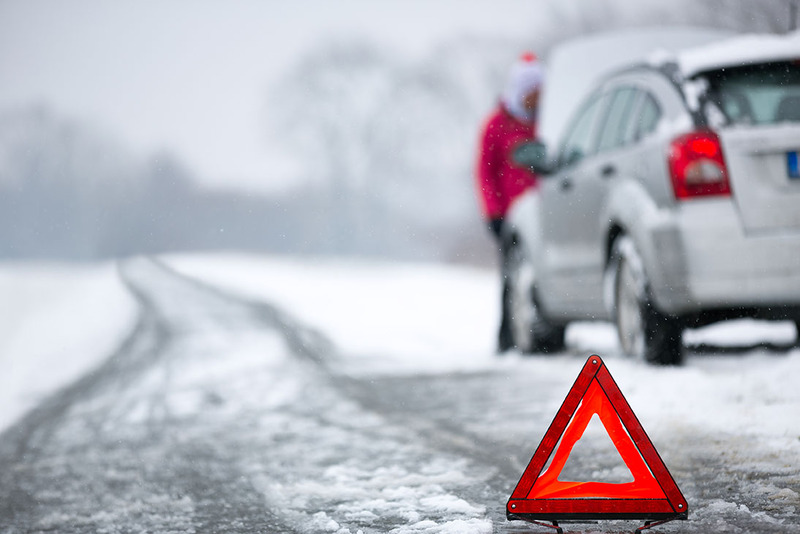 At Cars R Us, we know that not everyone thinks to keep a few spare blankets in their car, but if you break down or are involved in an accident in the middle of winter it can be indispensable. Keeping warm is vital, especially if you’re having to wait for help to arrive. If you have kids in the car with you then having blankets is even more important - they’re going to suffer the negative effects of the cold a lot faster than you, so they’ll need to stay warm. No matter how hard we try and keep the insides of our cars clean, eventually we all end up with a small collection of empty cans and bottles, candy wrappers, and all sorts of junk littering the floor until we decide it’s time to clear it out. Even the professional Cars R Us car sales team is prone to the same bad habits. If we’re all snacking just on long trips, imagine how hungry you would get if you broke down in a snowstorm. Keeping a supply of food and water for emergencies is a great idea - just make sure it’s food that isn’t going to spoil over time. Dried fruit and granola bars are a good example of food that won’t go bad and is designed to keep your energy and blood sugar up when you need it most. Water is always the best option for drinks, as it will keep you hydrated better than anything else. Most standard emergency kits come with reflective signs to let others know you’ve had to pull over, which is especially useful in the kind of vision-obstructing weather you’ll encounter in the winter - heavy rain, mist, and snow. But a smart addition to your standard emergency kit is a shovel and even flares. Many companies now offer efficient and space-saving collapsible shovels, so that even the smallest hatchback has room to store a potentially life-saving tool. Flares will add an additional level of visibility for you, other drivers, and any emergency services you’ve had to call in the most extreme conditions. A typical first aid kit will have everything you need for a basic medical emergency, but there are some things you can throw in yourself to help tackle the temperature if you break down. Supermarkets and stores are stocked throughout the winter with cheap and effective hand and body warming pads to help you stave off dropping body temperatures and even frostbite in the worst weather. Just make sure to supervise any kids that might need to use them, since they can cause burns. Cheap, disposable mobile phones are easy to buy and quick to charge in your car. They also hold a charge for a long time, unlike more modern and up-to-date smartphones. If you’re stuck on the road for a long time, especially if your car battery has died, your smartphone probably isn’t going to last long. Keeping a charged, basic cell phone in your car could mean the difference between a speedy rescue or lengthy ordeal. Just remember to keep it charged and topped up with credit in case you need to call anyone other than emergency services. At Cars R Us, we all know the risks of the winter in the midwest, and we hope all of our customers stay safe on the road. You can never have enough safety measures in place when you’re driving, just like you can never have too much choice when you’re looking for used vehicles - check out our Cars R Us listings today!